Almost half of adults in Ireland have not planned ahead for their future leaving themselves more vulnerable to abuse – according to new research commissioned by Safeguarding Ireland. The Red C research found that less than half of Irish adults do not have any of the recommended ‘planning for the future’ measures in place. This was particularly the case for younger people (18-44), lower social classes and for women. The research found that just 6% of sampled adults (over the age of 18) had legally nominated a family member, or friend to be their Attorney (under Enduring Power of Attorney) to make legal and financial decisions, should they become unable to do so. Just 8% had discussed a preferred place of care (at home, or nursing home) with family, friends, or an appointed Attorney for if they developed a serious, or long-term illness. Just 11% were aware of what an advance healthcare directive is, 22% reported having a personal pension and just 27% had made a will. Some 7% were aware of the ‘Think Ahead’ resource which guides people in organising their affairs in the event of an emergency, serious illness, or death. Launching the research Safeguarding Ireland encouraged the public to plan ahead, as this would reduce the risk of their suffering physical, psychological or financial abuse should a person become vulnerable in the future. Safeguarding Ireland Chairperson Patricia Rickard Clarke said: “Safeguarding Ireland is a coalition of national organisations in the health, social and financial sectors all working together to protect vulnerable adults. “A key part of this work is to raise awareness of the necessity to plan ahead. At any time we are vulnerable to not havingcapacityto make decisions for ourselves due to ageing, illness or an accident. It is when do not havedecision making capacity that we become most vulnerable to being abused. 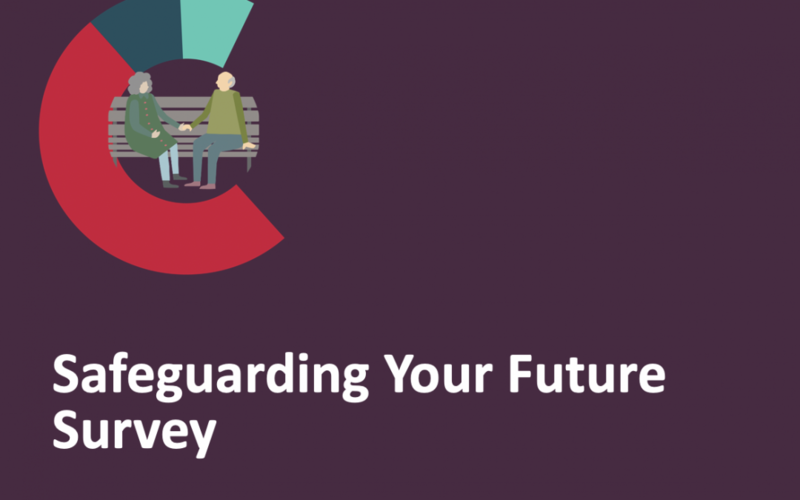 “Safeguarding Ireland is recommending that people safeguard themselves for their future by thinking ahead. This involves having in place an Attorney, a care plan, an understanding of an advance healthcare directive, a pension and a will for management of family wealth. “TheThink Ahead guide and form, which are available online, provide all of the necessary information. Furthermore, a system of incentives from Government to promote planning ahead should be included in future budgets from 2020,” she said. The most recent report on adult abuse in Ireland from the HSE National Safeguarding Office (published June 2017) reported 10,120 concerns of alleged abuse with the most common type physical abuse at 37%, followed by psychological (29%) and financial abuse at 11%. For adults 65+ financial abuse increases substantially by up to 25%, with a further increase for adults 80+. The Red C research found overall a significant difference between the practice of older and younger people which older persons more likely to have planned ahead, particularly for wills and pension. However, just 12% of adults 65+ had nominated an Attorney compared to 5% of 18-25 year olds, and just 13% of people 65+ has discussed preferred place of care with others. Safeguarding Ireland is running a public awareness campaign to deepen understanding of safeguarding and the steps which people can take to reduce the risk of abuse. A new website with public awareness information has been launched at www.safeguardingIreland.org and includes links to the Red C research and Think Ahead materials in the Public Awareness section.